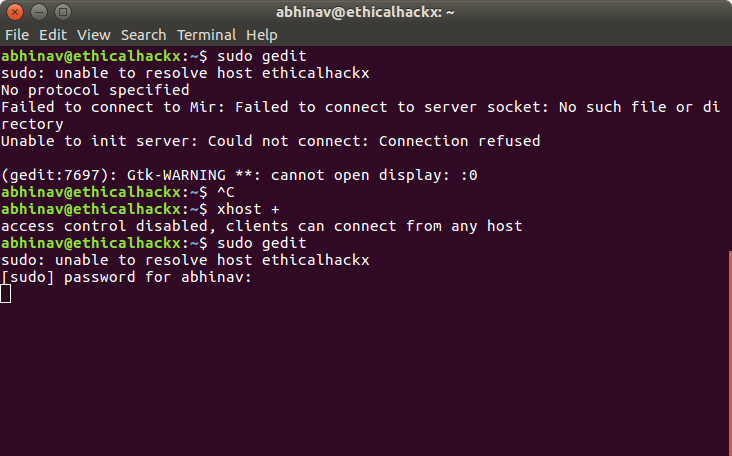 Opening GUI Applications as root or sudo users in Linux often we see errors . Gtk-WARNING : Cannot open Display. 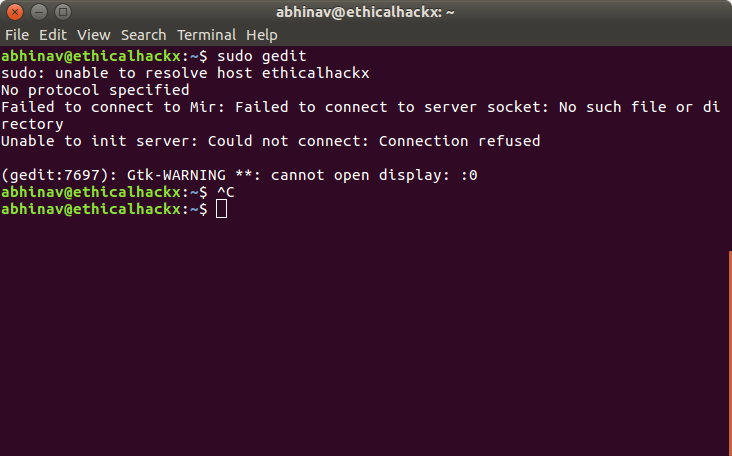 The following command will disable the access control, by which you can allow clients to connect from any host. While doing ssh use the option -X to enable X11 forwarding. 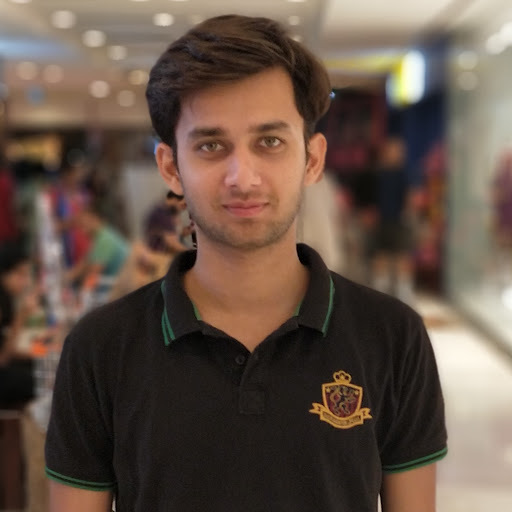 After opening ssh connection to the remote host as explained above, you can open any GUI application which will open it without any issue. The variable will be there. Then just set it and export it.